Principals Australia Institute has proudly partnered with Flinders University and Origin Foundation to establish an Australian-first postgraduate course in rural educational leadership. Twenty-one rural school leaders from Queensland, NSW, Victoria and South Australia are the recipients of full fee scholarships for undertaking the degree, Master of Education (Leadership and Management) in rural contexts. The students met on campus in early July to begin the course which aims to boost the capacity and retention of rural educational leaders. 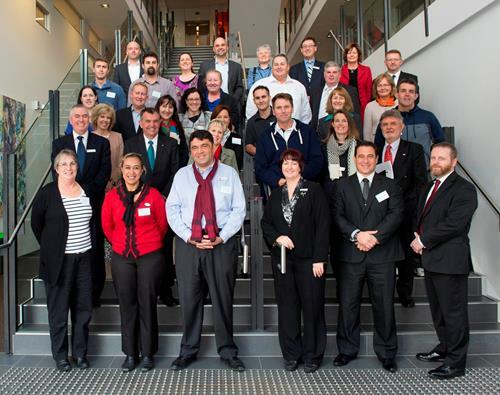 Principals Australia Institute’s PALNET (Principal Aspiring Leader Network) will support the leadership formation of all participants through their collaboration, self-reflection and connection to this virtual community of practice. The Origin Foundation has provided a $414,000 gift to support the students’ tuition and research costs. Illusions of Excellence: What really matters most in school leadership? is the topic for the Institute’s next free webinar. In this engaging webinar, internationally known scholar, author, and speaker, Yong Zhao will examine demands and drivers which are pushing and pulling the educational agenda. Yong will reflect upon measures of excellence being profiled and challenge thinking around the validity of these. Principals Australia Institute continues to develop the Principal Certification program, we are often asked how it relates to performance management or performance appraisal systems. Professional certification systems are distinguishable from performance management arrangements in an organisation. Principal Certification focuses on the profession’s recognition of a member who demonstrates the Australian Principal Standard. Performance management is appropriately part of an employing authority’s process for managing employee performance. Certification and performance management are complementary, but different. Find out more about the difference between principal certification and performance management in this infographic. For more information about Principal Certification follow @Principal_Lead or email the team to learn more. Weir State School: Our story shares some of the strategies the school has used to boost spirit and morale. 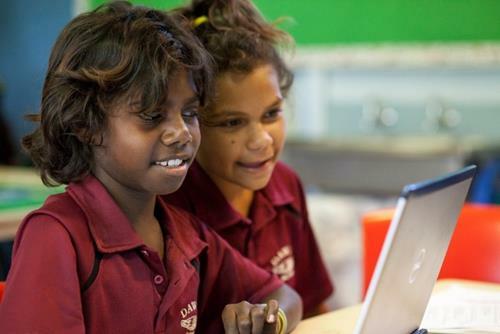 Dawul Remote Community School: Our story highlights how this small school lives and breathes its motto, ‘Strong and deadly, we can do it’. Additional resources will be added to the website in the coming weeks. A new resource from beyondblue and researchers from Monash University and The University of Melbourne will help parents reduce the risk of their children developing depression or anxiety. The free eBooklets offer parents advice on how to distinguish ‘normal’ child behaviour from behaviour that could indicate more serious mental health conditions. There are also practical strategies for parents to support their kids. We surveyed the views of 250 student principals and 100 school leaders from around Australia who participated in Student Principal for a Day during 2013 and 2014. 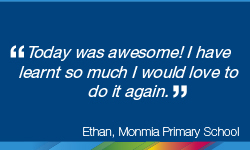 The comprehensive feedback shows that the experience was a positive one for students and schools. Students from Woodville High School in South Australia have attracted wide media interest as they draw community attention to the plight of fellow asylum seeker students. The student campaign featured on The Project last week. They have also started a petition which now has over 11,000 signatures. Nominations for the Hills Young Innovator Award are now open to outstanding achievers in the ICT industry under 25 years of age. The award recognises the most innovative ICT solutions and ideas. Looking for a different way to encourage creativity in the classroom? Origin’s Little Big Idea Competition may be for you. Be a part of the 100 year commemoration of Anzac history. Schools and community groups are invited to join in a special night of remembrance as part of Camp Gallipoli. Students are also invited to be Student Ambassadors.